for judicial review with particular emphasis on standing, protective costs and the availability of interim relief. Part III consists of a detailed examination of how each of the grounds for judicial review is applied in the environmental context. It highlights the increased emphasis on consultation and public participation in environmental matters, the degree of deference afforded by the courts to scientific and political judgments, and the prevalence of 'hard-edged' questions of law. Part IV focuses on EU law and examines direct and indirect actions before the EU courts, preliminary references and state liability. It also considers infraction proceedings brought by the EU Commission, the role of individuals and NGOs in relation to such proceedings and the interrelationships between infraction proceedings and judicial review. Finally, Part V explains the complex regime governing access to environmental information. 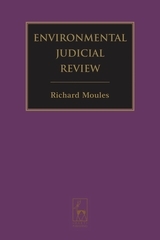 “Richard Moules' book is a gold mine of information on a fascinating area of environmental law. The book is noteworthy for three main reasons. First, it does not assume any previous detailed knowledge of environmental or administrative law; where it is necessary for the development of a narrative the author provides all the necessary background material...The second noteworthy characteristic of the book is the emphasis on case law. There are approximately 1000 cases referred to (I didn't count them all but the Table of Cases runs over 14 pages) and to say that Moules has been exhaustive in his trawl for relevant cases is an understatement...What is perhaps surprising is the third noteworthy thing about this book. It is a very enjoyable read! While it is certainly not a book to be read in a single sitting it is much more than just a reference book for dipping in to. 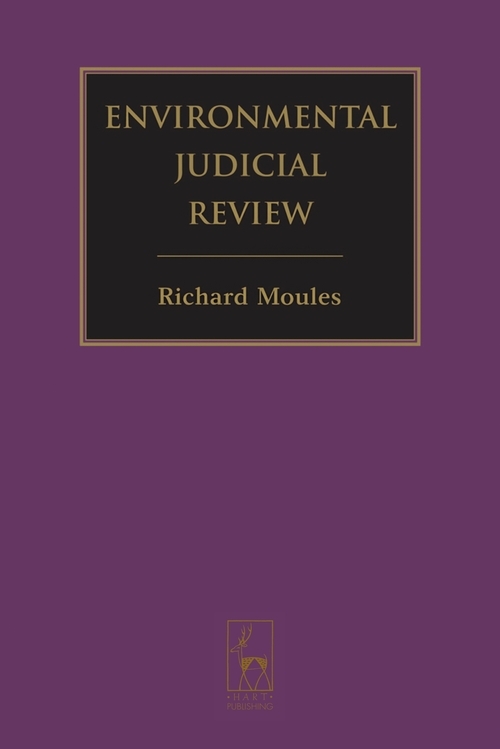 Moules traces a story about judicial review that is both fascinating and informative and has produced a book that will be a worthy addition to any environmental lawyer's bookshelf. Richard Moules is a barrister at Landmark Chambers, specialising in public law and environmental cases. He is also a Fellow of Fitzwilliam College, University of Cambridge.